Betstar has this morning released the first market on the 2011 Melbourne Cup, with 2010 runner up Maluckyday the early favourite. 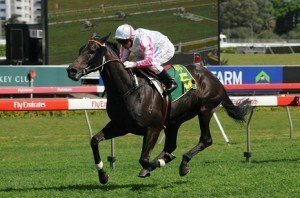 The four year old Zabeel gelding made a rapid rise through the grades this preparation. He started with a win in a Benchmark 70 race over 1400m at Hawkesbury before recording wins in a one metro win race at the Canterbury night meeting on September 24, the Tattersalls Club Cup at Randwick on October 16 and the Lexus Stakes at Flemington on Derby Day. Second in the Lexus Stakes was Linton, who subsequently failed in the Melbourne Cup where he didn’t handle the quick back up and finished 21st. He has been installed as second favourite at $17. Equal third favourites are the dominant VRC Derby winner Lion Tamer and Queen’s Cup winner Moudre at $21. Other notable horses in the market are 2009 Melbourne Cup winner Shocking, 2010 Melbourne Cup winner Americain and Irish St Leger winner Sans Frontieres at $26, while VRC Oaks winner Brazilian Pulse is at $34. Looking back at the first markets for the 2010 Melbourne Cup, the quinella (Americain and Maluckyday) weren’t in initial markets. So You Think (3rd) was the equal favourite at $21 with Shocking (18th) and Alcopop (did not run). Zipping (4th) was at $101. Interestingly, of the top 30 in Betstar’s opening 2010 Melbourne Cup markets, only three horses actually ran – So You Think, Shocking and Monaco Consul. Horses in the top 30 that came close but pulled out for numerous reasons included Alcopop, Valdemoro, Faint Perfume, Alandi, Metal Bender, Above Average, Rebel Raider and Vigor. We will continue to monitor markets monthly until the release of nominations in early August 2011, with many changes anticipated – especially after Sydney’s Autumn Racing Carnival.